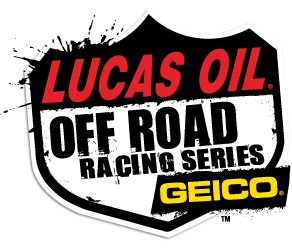 Two nights of racing under the lights were held at Glen Helen Raceway with Friday night hosting Round 9 of the Lucas Oil Off Road Racing Series, presented by GEICO. The 2019 season is winding down as the final two rounds are set for Oct 21-21 at Wild Horse Pass Motorsports Park in Chandler AZ. Race summary follows. Click on Read the Full Article to read Scott Neth’s coverage. With championship battles in high gear the fans were provided with plenty of high flying action. In fact Pro 2 current points leader Rob MacCachren who has often been referred to as an off road pilot may now be called off road astronaut after Friday night’s launch off the jump before turn five. 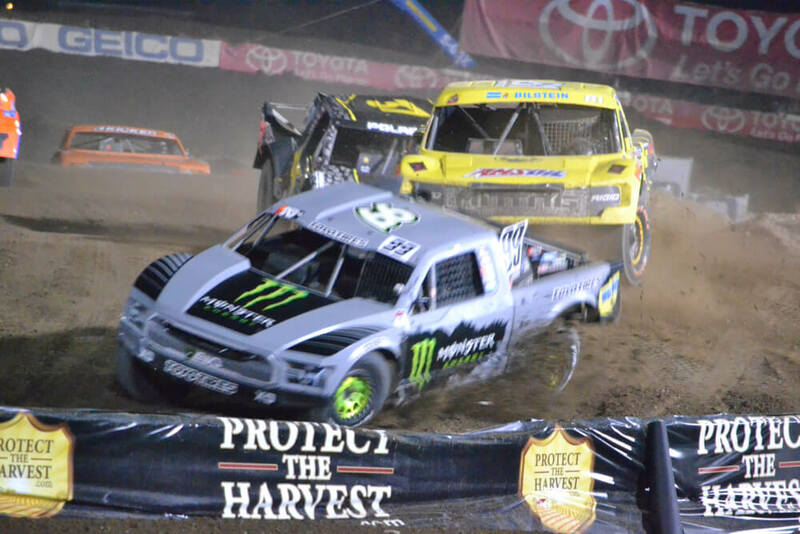 MacCahcren was attempting to take third away from Rodrigo Ampudia on the final lap when he came of the jump vertical and landed on his rear bumper before twisting around and landing hard into the corner. MacCachren was fine but the truck needed some work. Ampudia was able to finish in third. RJ Anderson took the win with Brandon Arthur second. 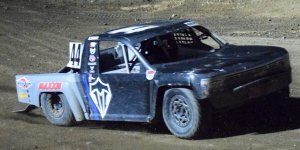 When the checkers came out Saturday night it was Brian Deegan winning with RJ Anderson second and Jerett Brooks was third. Rob MacCachren leads the series with 489 point. RJ Anderson has earned 462 and Rodrigo Ampudia has 441. In the Pro 4 event the early race was between RJ Anderson and Kyle LeDuc. The two fought hard until LeDuc pulled off. This allowed Doug Mittag to close up on Anderson with Greg Adler in the mix. Mittag would wear Anderson down to take the lead and eventually see the checkers before Anderson. Greg Adler was third. RJ Anderson came back the following night to take the win over Greg Adler. Adrian Cenni was third. RJ Anerson leads the class with 495 points earned with Doug Mittag 484 and Kyle LeDuc has 468. 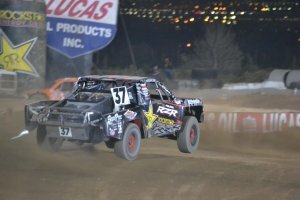 In the Pro Lite action it was Mickey Thomas taking his first LOORRS win on Friday night. Brock Heger was second and Ryan Beat third. Cole Mamer took the win Saturday night with Brock Heger second and Brandon Arthur third. Ryan Beat holds the seies lead with 495 points with Brandon Arthur 482. In third is Christopher Polvoorde at 447. 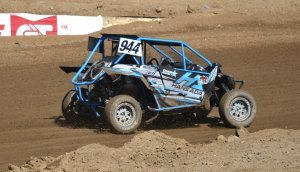 Darren Hardesty continued his winning ways in the Pro Buggy class. And as usual he had a hard charging Eliott Watson challenging him throughout the race. Hardesty would hold on for the win with Watson second and Chris Nunes third. On Saturday night Hardesty again captured the checkers with Eliott Watson second and Matt Brister third. Darren Hardesty holds the sereis lead with 489 point to Eliott Watson’s 476 and Micharl Ward has 449. 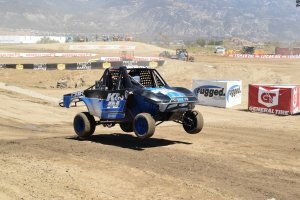 Corry Weller set quick time Friday in the Turbo Production UTV class and came back out to take the win. Eliott Watson finished second with Robert Vanbeekum third. Making a clean sweep of the class Corry Weller captured the win again Saturday. Robert Vanbeekum was second and Eliott Watson was third. Corry Weller leads the series with 521 points with Paul O’Brien second with 496 and Eliott Watson is third with 439. Mickey Thomas was on a roll Friday night as he won the Pro Lite event and captured the checkers in the Production 1000 UTV as well. Nathan Barry was second and Ronnie Anderson third. The podium on Saturday night saw Myles Cheek on top with Brock Heger second and Mickey Thomas third. Going into the final rounds Brock Heger leads the series with 488 point. Myles cheek has 457 and Mickey Thomas 425. On Friday night in the Modified Kart action Bronsen Chairamonte was first with Ricky Gutierrez and Trey Eggleston third. Then on the following night Ricky Gutierrez took the win with Mason Prater second and Braden Chairamonte third. Mason Prater is leading the sereis with 383 points to Brody Eggleston’s 376 and Bronsen Chiaramonte is third with 360 earned points. Connor Barry took home the #1 trophy on Friday night for JR2 Kart’s. Holden Heitritter was second and third was Broeday Graham. When the dust had settled Saturday night it was Ethan Ebert standing atop the box with Rhyan Denny second and Talan Martin third. Connor Barry holds the lead in the series with 422 points. Second is Ethan Ebert with 373 and third is Holden Heitritter with 349. Maverick Openshaw won the JR1 Kart race Firday night with Ayden Ford second and Jake Bollman third. Talan Martin set the pace Saturday night and held on to win with Brodie Martin second and Jake Bollman third. Jake Bollman is the class leader with 409 points. Ayden Ford is second with 395 points and Lake Adler is third with 369 earned.